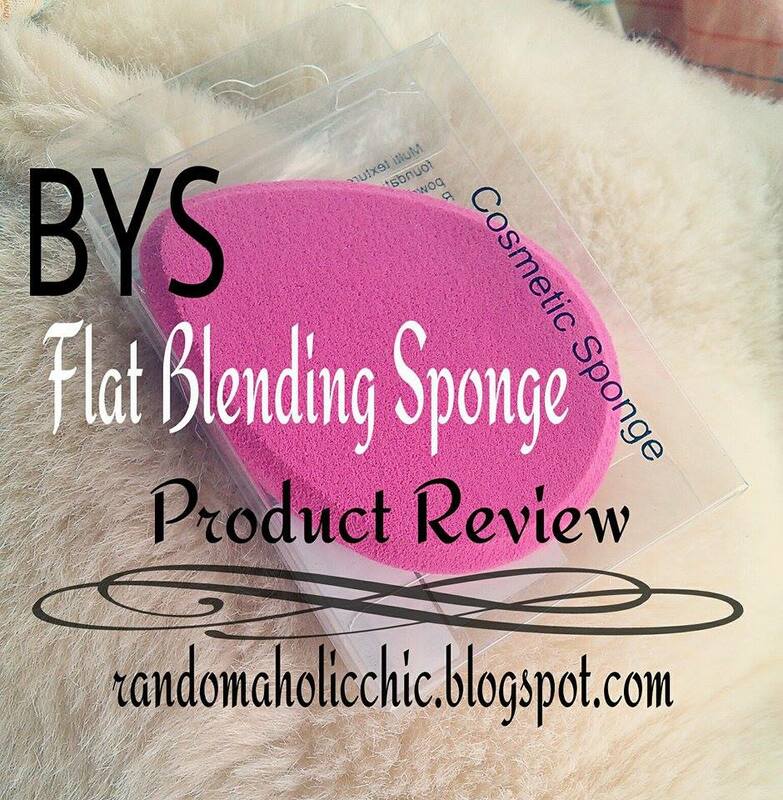 If you have been my follower in IG, you have already seen this flat blending sponge I have posted months ago. The packaging doesn’t indicate whats the brand though but you can get it in any BYS stalls priced at Php 149.00. Obviously, I love the color pink. It is soft, flexible, tear-shaped but flat sponge. I initially used it with my liquid foundation, and I am impressed by its performance. It is great that it leaves no streak at all, not to mention it picks up the product very well. Then, I tried using it with my Maybelline face powder, and I fell in love with it. My powder is smoothly done with this sponge. I used to use a makeup brush with this powder but eversince I discovered more desirable finish with this sponge, oh I switched right away! I don’t know how but it has power to make the effect of my powder lasts a little more longer. Maybe because it doesn’t absorb the powder particles it picks up, but applies generously on the skin. That way, you can get most out of the product and there is only less powder left on the sponge. Because of it’s shape, you can easily put foundations and powders below your eye area and even on the sides of your nose. It makes blending a breeze, and spreads the product on face evenly. 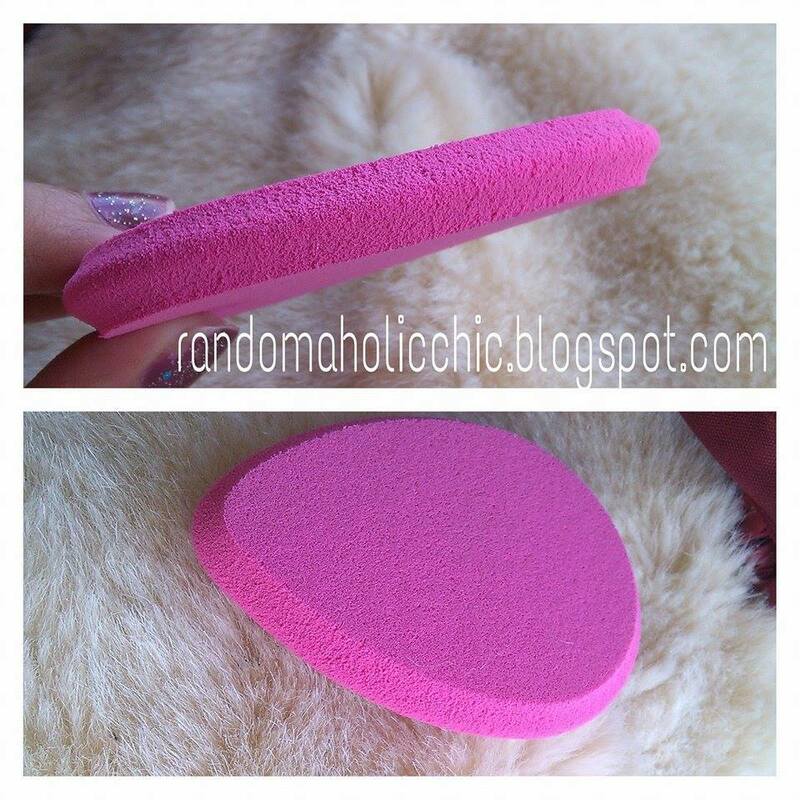 This cute lil sponge is a must-have on every kikay kit. 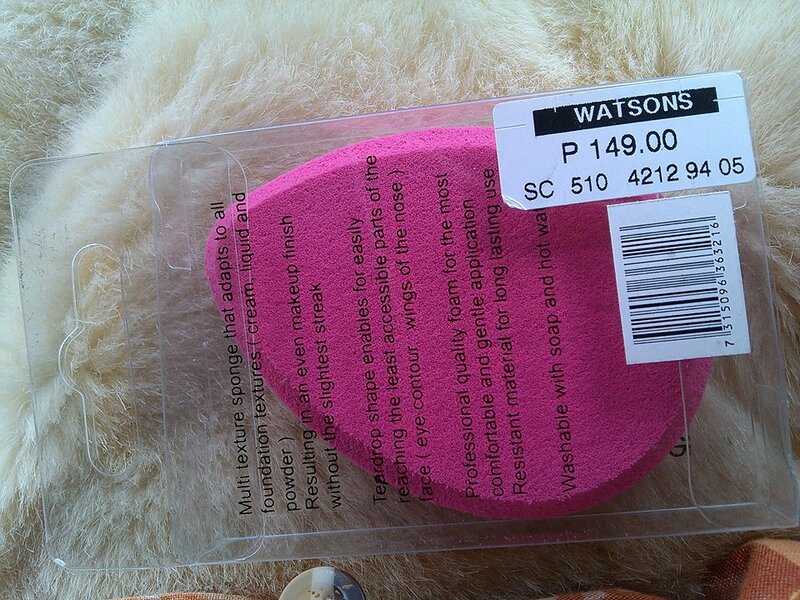 I steered away from using powder brush since I really love the effect this blending sponge provides. In regards with the durability, well it doesn’t break off easily. It doesn’t wear off fast unlike the cheap sponge you can easily find in other makeup stalls in our local department store. Even after washing, it remains as soft and remain it’s texture. It is worth the price, I will definitely go and get more of this sponge.